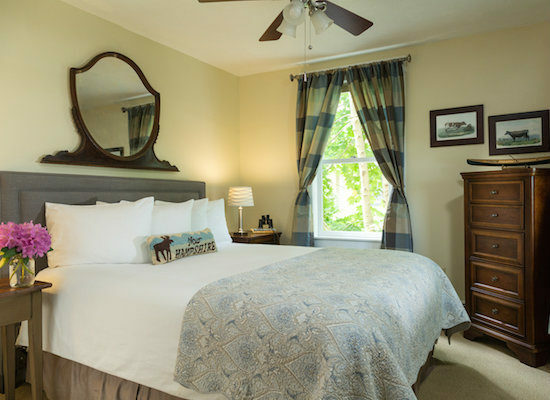 Our boutique hotel near Meredith, NH offers the ultimate romantic getaway. Bennet Cove is a downstairs room with a comfortable queen bed. Located at the end of a wrap around porch with lots of windows. 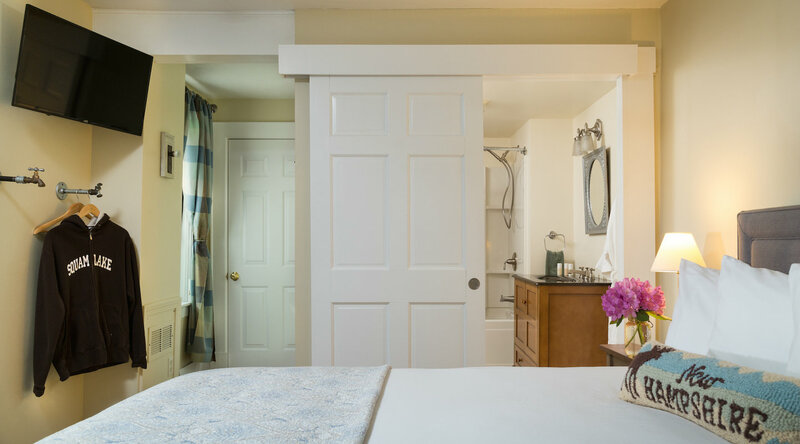 This room in our hotel near Lake Winnipesaukee also features a large private bath w/shower/bath combination, ceiling fan and air conditioning. This room is handicap friendly.